A few people have asked me for my “reaction” or “thoughts” to the recent violence. I’ve given a few answers. Nothing substantial. I can’t fit it into a few words spritzed over a fence or wheedled into the phone between one task and another. Perhaps, even, words are not enough, but I’ll make an effort. My first thoughts return to philosophy. I think of Camus who argued in The Rebel that revolutions become problems because they place a principle above human life. The moment they do, he argues, the revolution turns against those who started it and becomes another Reign of Terror. I also think of Hannah Arendt’s Human Condition. She argues that the problem with most political movements–revolutions among them–is that they do not treat “the people” as a social unit. They treat them like a unified pawn to be be moved by major forces, forgetting that people comprise “the people” and people are not predicable. Spelled out, it’s an obvious error, and we still make it. But philosophy can only go so far. I need images. I think of two in particular. First, Karanis. 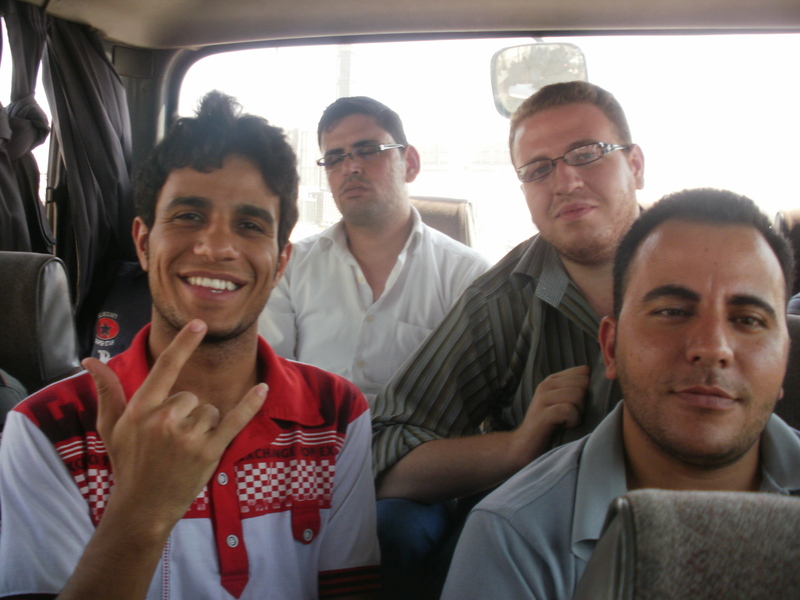 My first summer in Egypt, a few of us took a day-trip to Fayoum, an oasis outside of Cairo. After rumbling through the desert for an hour, seeing nothing but blanched billboards, sand, and cemeteries, we pulled off to see Karanis, ruins of a Greek city from the first century B.C. Our guide, accompanied by some men in the tourist police, walked us into the ruins. Most were spilled bricks and toppled columns swamped by the sand. In the middle, raised above the others by stone, stood the temple, once dedicated to crocodile gods. We stepped inside and one of the tourist police led me to an overlook. A few of us stood on the shelf of brick and sand atop the old temple. The ruins stretched around us, like wrecks stranded in a sea of beige. The sun beat down. The wind kicked up sand and wrung the moister from our mouths. The sense of death was overwhelming. Hundreds of years ago, people gossiped, prayed, lived, and died in the shadow cast by that temple. They’re all dead. The stones themselves fight a losing battle with the desert. One horizon is a brutal expanse of beige that falls into the blank, blue sky. 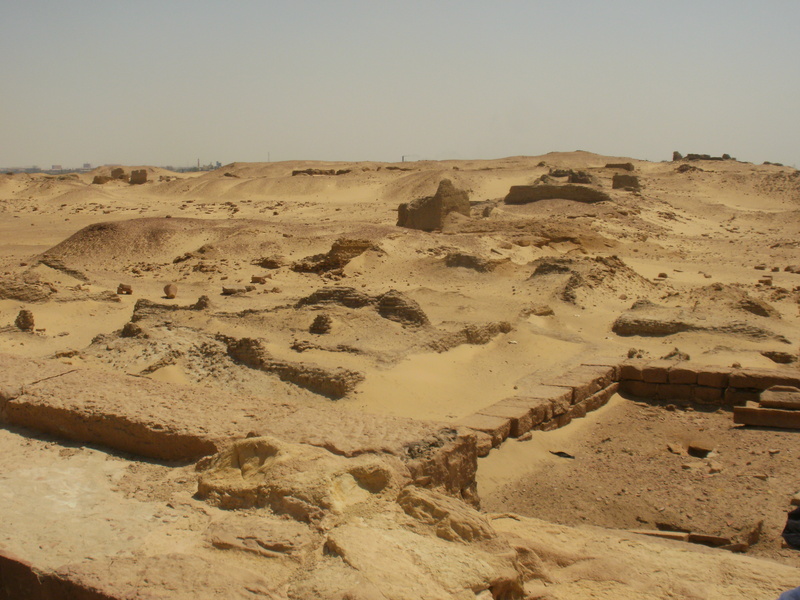 On the other, the modern city of Fayoum seems to sinks into sand. The second image hit me while visiting Coptic Cairo, one of Cairo’s oldest sections. We wandered on old stone roads that connected churches, cemeteries, and small shops. 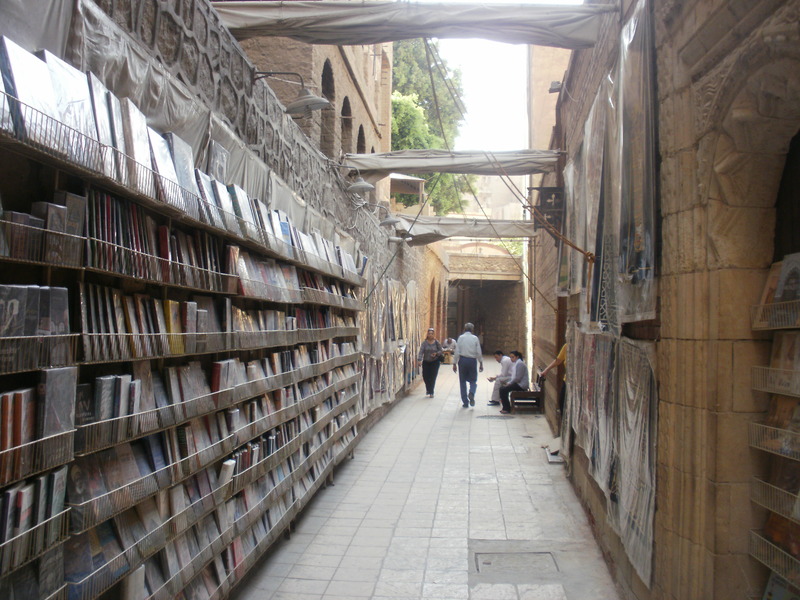 Down one sinuous alley beneath the road, a man tried to sell us books, his plastic shelves hung from the walls. Modern-day Copts venerated the bodies of their saints, folded in red cloth behind glass, as fans lapped against the still, perfumed air of the churches. Outside, the tanned, torn posters leftover from the election joined the scraps of garbage in the shallow gutters. A few stayed on the walls. As we were walking beside the Church of Saint Barbara, being hounded by a guard who wanted baksheesh, I saw two young people walking together, obviously in love, holding hands. They passed us in a few moments, absorbed in each other. People have been in love here for thousands of years, I thought. And still are. 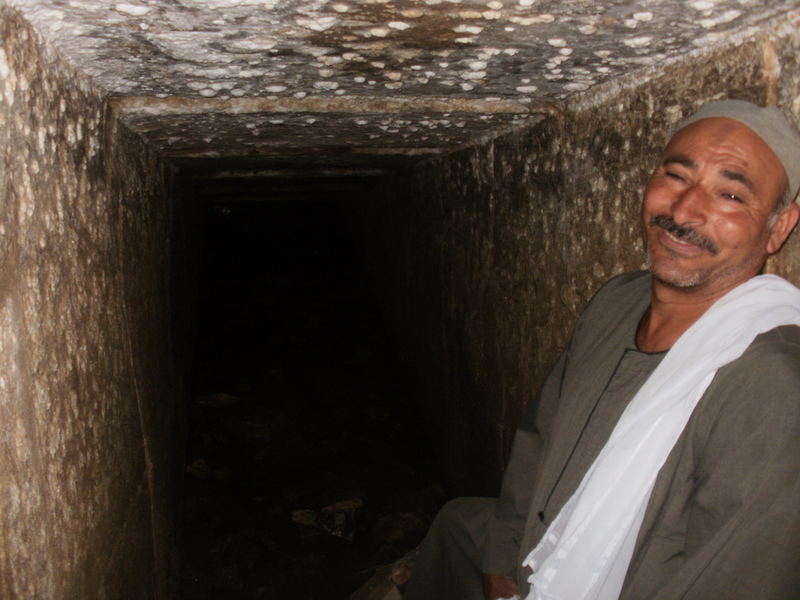 Despite the violence through the ages, as Egypt passed between empires and rulers, everyday people have carried on through their lives. Despite horrors, life goes on, perhaps broken and torn, but marching forward nonetheless. The lovers were just one example. In 2012, I saw those two images–Karanis and the lovers in Coptic Cairo–cradled by the Revolution and the election, with all the potentials those brought. Now, I see them in the midst of Egypt’s horrific violence. I think of Karanis, all the dusty death and spilt pillars–the cruel silence–and connect it to the violence in the streets, the body bags and death. The two lovers challenge this. No one builds monuments to everyday people or venerates them in churches. But they live on through the ages, despite everything. A child once smiled for her mother thousands of years ago. Right now, at this moment, I bet another child is doing the same thing. That human act is resilient–despite time, violence, and death. And sometimes we forget how powerful that is: that life goes on. But what does that have to do with Egypt? To me, it’s a silent prayer. The pain afflicting Egypt is impossible for me to understand. The complexity of the situation is impossible to probe. I can only know what I know: the basic facts that things fade and die, that suffering hurts and humiliates, and that most people just want to live. And I pray that others see this, too, because it’s one of the few things that unite us. I do not put my faith in a particular person, or group, or nation. Instead, I put it in the two lovers. I put it in the man standing behind the counter at the café who smiled as I stumbled through my Arabic. I put it in the quiet man on the Cairo subway who asked me to sit next to him so he could show me pictures of his baby boy. But we continue. And perhaps, below my pessimism and cynicism, my gallows humor and brooding, I’m an optimist, because I believe that what is good will also continue. What is my reaction to Egypt? I believe that the best reaction to anything is to uphold what’s human and deplore what kills. I’m against the Brotherhood, who have oppressed Christians, organized attacks, used poverty to manipulate people, and imposed their will on a society that doesn’t all share it. I’m against the military who have used violence and propaganda to impose their order for generations. I’m against the violence. I’m against the hate. The Egyptians are good people. They are beautiful human beings and I love them. Incredible post Brett, your feelings mirror mine in many ways. It is frustrating to essentially see the helplessness of the situation, especially being here in the States. 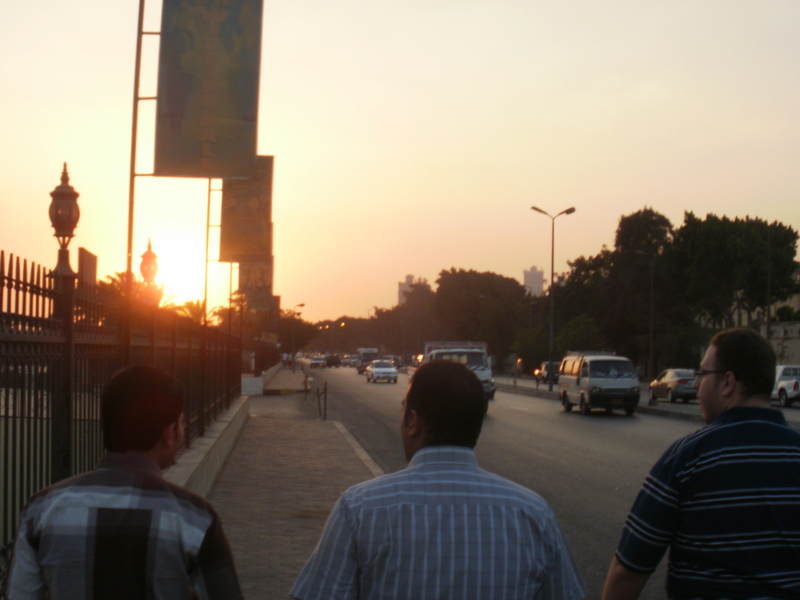 A few days ago, I had a similar discussion with a friend of mine who traveled with me to Cairo…we feel guilty “turning to our affairs.” Your post here helped. Thanks, Dalo, I’ve heard that from a few people. I think it’s nice to know that many of us feel helpless in the face of so much destruction and acknowledge that survivor’s guilt from being part of a secure, prosperous country in such an uncertain world. And I’m glad my writing leaves you with something. It’s always my favorite thing about writing. I feel like we’re all lost, trying to make sense of things and a writer “essays” a certain idea or image in a piece of writing. Like a fellow traveler, he or she accompanies you on your own journey and shares his or her insights. Thanks for the comment and have a nice day. It really does capture a lot of the same ideas. It’ll be interesting to see what the future of resistance and protest v. power and surveillance is, with technology and everything. Thanks for coming by again. I’m looking forward to exploring more of your blog as well, once I get a good chance.